According to Greek mythology Erebus is the personification of darkness. 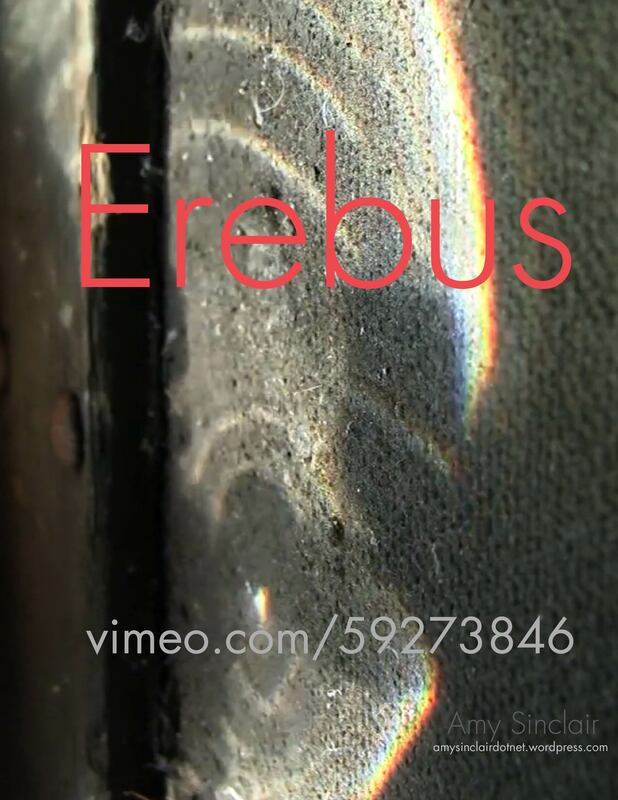 Erebus, Annie’s pet Beta fish, is seen only in terms of it’s impression; a reflection of light and shadow. This video is intended to be experienced as a part of an installation piece. In the gallery, a meditative space is arranged. On the center of a table Erebus swims, candles burn, and sentimental objects present interest and calm. Three books noted ‘object’, ‘love’, and ‘produce’ hold anecdotes, meditations, and drawings. I believe it is valuable to pursue understanding through recording in a sketchbook. Participation in adding to the books is respectfully encouraged. Through play we diffuse the authority of singular definitions of words by offering possible definitions. Our intuitions are account of lived experiences and imagination.